Sigh For Love: Glorious Thanksgiving! Thanksgiving has always been my favorite holiday. Our annual Thanksgiving plans at a close friends house were canceled just a few weeks ago, so now it looks like I'll just be having a small low key feast with my parents and Oliver at home. I've been trying to think of ways to still make it feel festive and special. 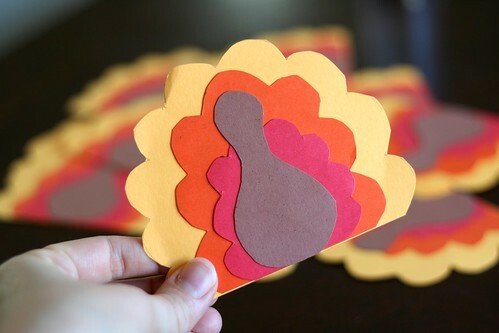 In my mind, that somehow translated to paper turkeys hanging from the walls, so when a crafty mood struck me the other night, I sat down and made a dozen of these for a banner. I've also been searching for fun new holiday recipes for the past several weeks, though as it usually happens, I put together the menu just a few days before I have to shop for everything. And now, my Thanksgiving menu! 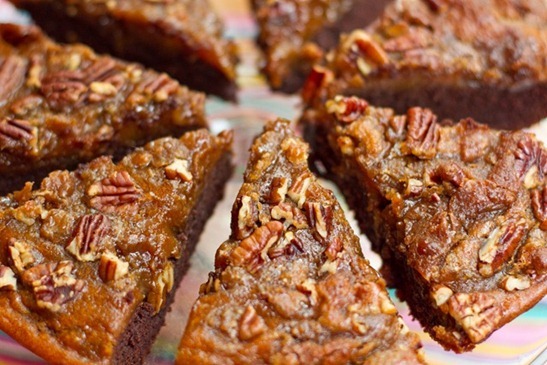 Oh, go for the pumpkin brownies!!! I agree with Jessica! Pumpkin brownies for the win! I'll still be trolling your food blog for yummy recipes!